THE MINISTER FOR JUSTICE has told the association of rank-and-file Gardaí that comments about the closure of Garda stations and the possibility of a rebound in crime as “alarmist and irresponsible”. Shatter this evening told the Garda Representative Association’s annual conference in Athlone that its claims over the closure of some stations – which Shatter said “no longer have any operational significance” were unreasonable. “Even more damaging are suggestions that some unspecified action will be taken by members of the GRA to resist change and undermine Garda leadership,” Shatter said. Shatter took aim at criticism about the closure of Garda stations, saying critics of the proposals “have some explaining to do”. Are they seriously saying that the Garda station network must remain exactly as it was at the foundation of the State? Are they arguing that every single Garda station must be preserved forever?Can anyone plausibly contend that we absolutely need 703 Garda stations in such a small country or even all of the 664 that will remain following the announced closures. The minister also said he did not believe talk that Garda morale was beginning to sag, insisting there was no reason for spirits to be low. “There is every reason for morale to be high, for members of the Force to take pride in the work they do and for all members of the Force to enter into the next 12 months with confidence in their capacity to fulfil their public duties,” he said. There was criticism, too, for GRA president Damien McCarthy who was yesterday reported as saying the force had lost 2,000 members. Numbers had stood at just under 14,400 at the end of 2010, and were about 13,650 today – “a reduction of just under 800 over the period of 15 months since then – not 2,000 as your President was reported as saying yesterday,” Shatter said. The minister further defended criticism of the Garda fleet, saying the stock of 2,600 vehicles held by the force now was up by around 400 compared to five years ago, though he conceded that he wished the fleet could be renewed “at a faster pace”. Elsewhere, however, there was praise for the general contribution of Gardaí to the public good, and its work to ensure that the number of serious crimes was falling, as shown in recent CSO figures. He paid special tribute to those who had helped to secure the visits of Queen Elizabeth and Barack Obama, who had “also stood up to the thugs who sought to disrupt the visits”. “You dealt effectively with serious threats to security posed by a variety of small groups and, in particular, by subversives intent on returning this island to murder and mayhem,” the minister said. Earlier, the association had reportedly accused Shatter of being “soft on crime”, saying he had ignored its calls for new legislation to prevent attacks on Gardaí. RTÉ quoted GRA general secretary PJ Stone as reminding Shatter of comments he had made in 2007 when he described some areas of Ireland as being populated by “lawless bastards” – saying the comment was at odds with his policy of now closing Garda stations. Those comments were criticised by Fine Gael backbencher Derek Keating, who said the comments were “over the top”. “The introduction of the infamous ‘blue flu’ approach to industrial relations damaged the confidence that was previously held in the Gardaí,” Keating suggested. Email “Shatter: Garda fears over station closures are "alarmist and irresponsible"”. 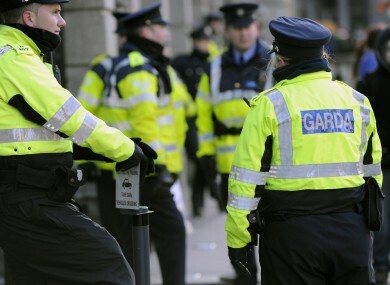 Feedback on “Shatter: Garda fears over station closures are "alarmist and irresponsible"”.